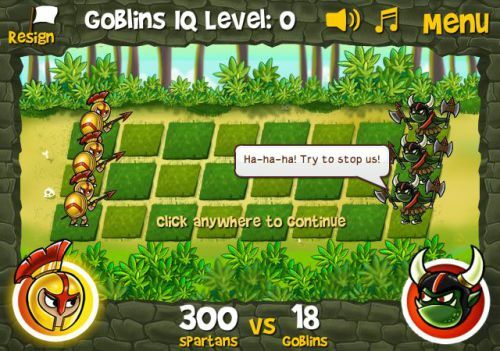 Description Fight with the goblins in the strategic game! It's inspired by classic chess game Pawn Duel. There are three spartans on the left side and three goblins on the right side. The first turn belongs to the spartans. You can go forward or backward. The goal of the game is to leave no moves for goblins.